Coko | The Winner In Me - TheUrbanMusicScene.com | Music Reviews! The Winner Is In Her! 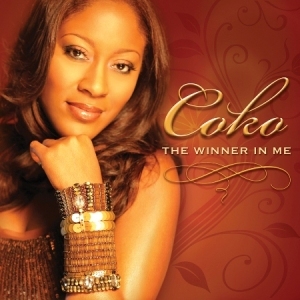 Coko does it again with her sophomore gospel CD entitled The Winner In Me. She is delightful, dedicated, emotional and inspirational throughout the CD. Her Gospel/R&B style is amazing and soulful but yet spiritual. She’s on a mission to get God in the mix, by any means necessary. I believe her slow ballads are the most powerful songs on the CD. Her vocals are on point (as usual) with each and every song. You can feel the love and passion from within Coko as she displays it by surrendering herself on each track. Her collaborations are remarkable! I love the song Oh Mary featuring Kelly Price. It’s a great song filled with hope and strength. Wait is a another great song too. It’s a very personal and heart filled composition. Bravo Coko!! You ripped it! Renew My Mind featuring Lady Tibba is off the chain as well. You have to hear it for yourselves. Rescue Me and Surrender are my favorite songs because I can relate to it. We all want God to rescue us from our trials and tribulations but first we must surrender unto the Lord, trust in him and become an open vessel for his work. Only then will we become closer to him, his love and his blessings. This CD is a keeper and should be in your Gospel collection!